Gol-durn that Trail of Treats was crazy busy today! It was beautiful outside (though a tad chilly to start) and the people of LaVergne PILED IN to the park! 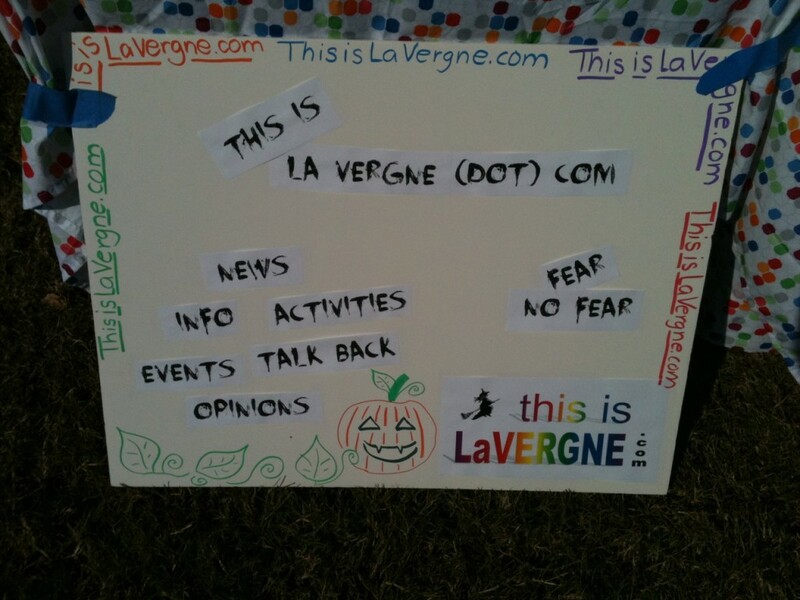 This is LaVergne was there, too, and gave out at least 15 huge bags of candy. My sources tell me that the most popular candy-givers were B&B Family Fireworks for their GOO-GOO CLUSTERS and the Library tent because they had CHOCOLATE (snickers, butterfingers) AND skittles! Fraternal Order of PoPos versus Titans Alumni. Money raised for the game is earmarked toward a variety of charitable causes, including food baskets for LaVergne families during the holidays. The game is at 7:00 p.m. at LHS field. Please come! Box 100 is running the concession stand out of the box truck. My sources tell me that they always wash their hands or wear gloves before serving food!